All the best walks start and end at a pub and a popular place to aim for is the Warren House Inn. Located in the heart of Dartmoor, a national park in the county of Devon in England’s West Country, it has been a stopping point for thirsty travellers since the mid eighteenth century. The fire, according to tradition, has never been allowed to go out – probably out of necessity for the inn is isolated and exposed on a high windswept plateau. Two miles to the south-west of the inn is the village of Postbridge, famed for its ancient clapper bridge, first mentioned in 1380 and reached by a track opposite the pub. It passes the remains of habitation for Dartmoor once had a tin mining community and these are just some of the signs of this now vanished industry throughout the moor. The mining is thought to have predated the Romans, flourished during medieval times and also the nineteenth century before finally ending in the mid-1900s. Spring comes late to this harsh environment: the few trees grow slowly and stunted. When the moor flowers many different species of butterflies can be seen. 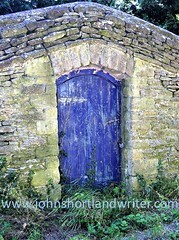 As with many parts of Britain where rock lies close to the surface, drystone walls are a feature. Unlike the soft limestone walls of the Cotswolds which use small pieces of thin, flat stone, Dartmoor’s are granite and some of the stones massive. It is hard to conceive how they were built but the huge slabs foreshadow those that are to be found at Postbridge. Crossing the East Dart River, the clapper bridge at Postbridge is perhaps the best known of all of these bridges in England although there are more than two hundred on Dartmoor alone. 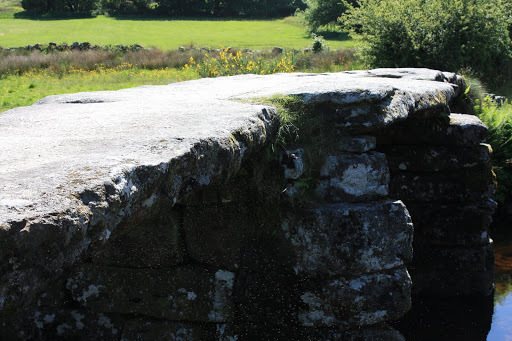 Thought to have been built to allow carts to carry tin off the moor, the bridge is over four metres long and two metres wide. Some of the stones weigh more than eight tons. 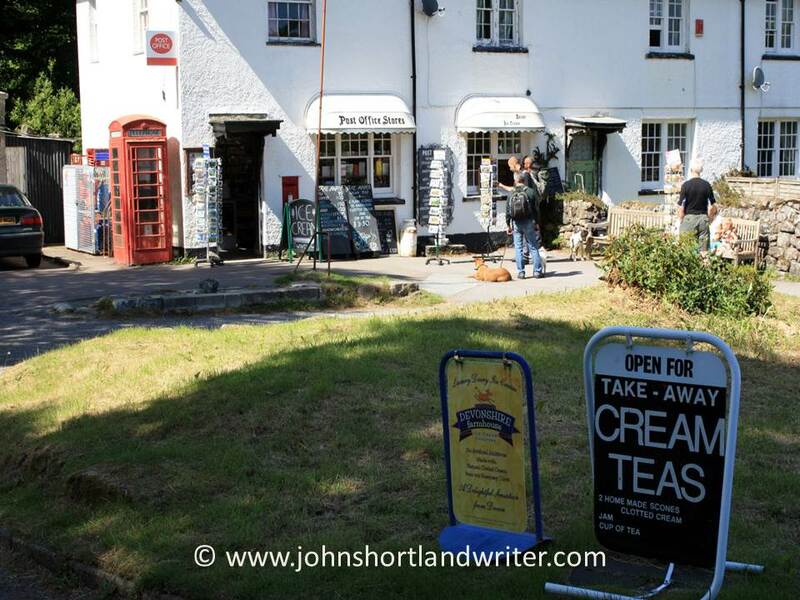 The village consists of a few houses, a pub and a post office and is a favouriteplace to stop for a traditional Devon cream tea. 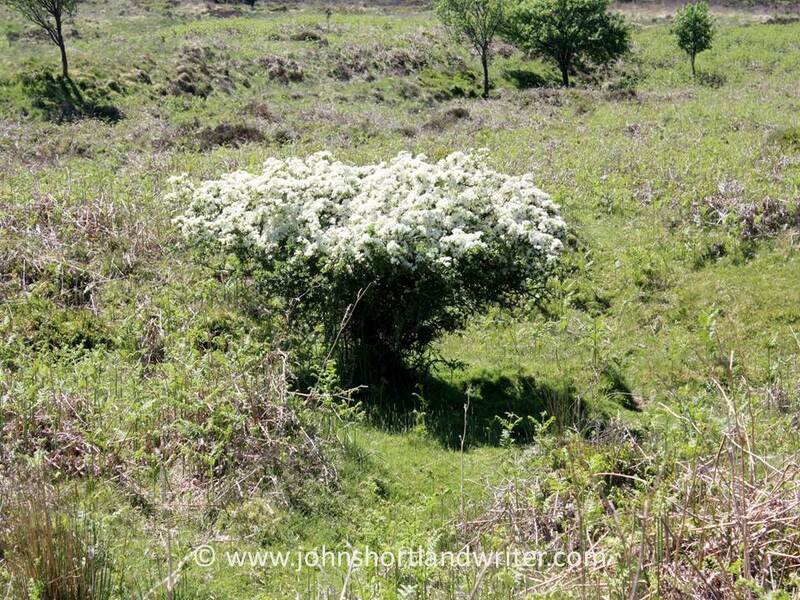 A riverside path heading north from the village leads into the heart of the moor towards the next stopping point, the prehistoric Grey Wethers stone circle, featured in part two of this blog. Stonehenge is one of the most important and instantly recognised ancient sites in the world yet those of us that live in the British Isles tend to take it rather for granted. 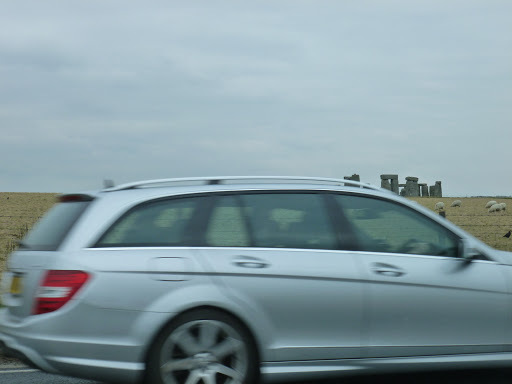 Perhaps this is inevitable with anything that is on your doorstep, however it is strange that whereas many of us long to see (or perhaps have been lucky enough to have visited), say, the Pyramids of Giza or Machu Picchu, very many Brits have never visited Stonehenge. Perhaps if they had made the trip they would have been rather surprised at what they saw – and I don’t mean the majesty of the stones. 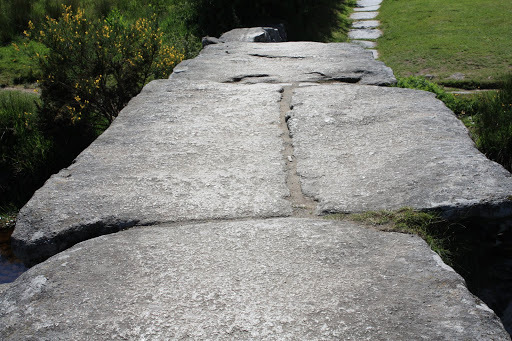 Over the years, the numbers of visitors to the stones has increased dramatically from twenty thousand a year in the 1920’s to over a million last year. As numbers increased so erosion and vandalism began to take its toll and access within the circle was stopped. Now it is only possible to enter the stones on special occasions, such as the summer solstice. This means that the majority of visitors are only able to walk around the perimeter of the henge. 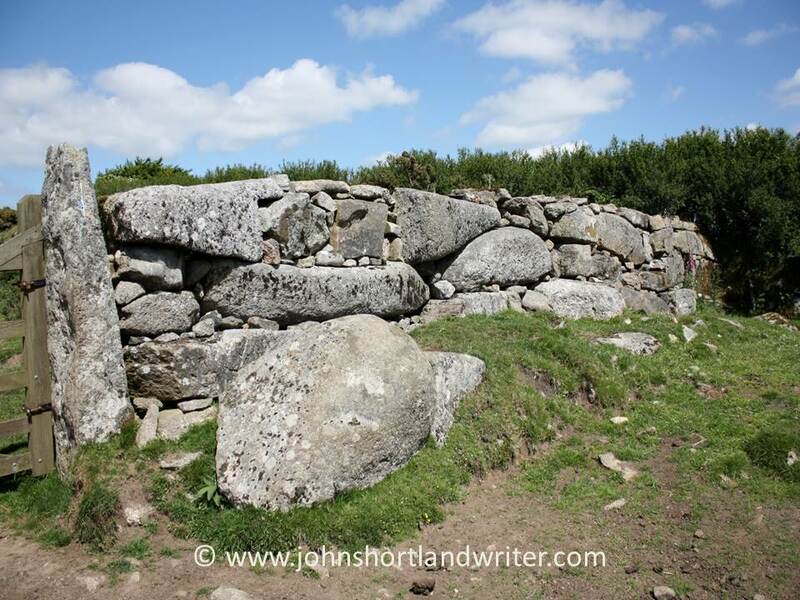 The memory of my first visit as a child is of running amongst the stones, of being able to touch them and to look up at their immense height – would I remember it now if I hadn’t had this intimate contact with them then? Some years after that early visit and with numbers rapidly increasing a ‘temporary’ visitor centre was built in the late1960’s. This, along with inadequate car parking and lack of modern interpretation facilities makes the first impressions of this World Heritage Site poor, to say the least. 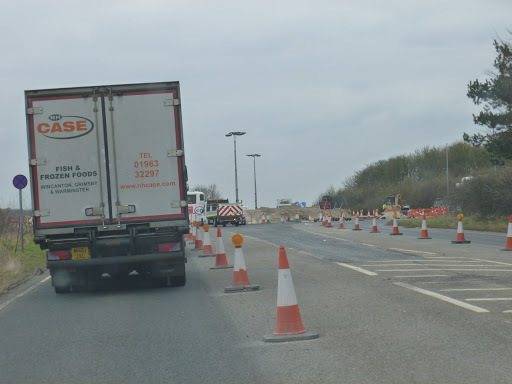 Two busy main roads also pass closeby the stones destroying much of the quality of the landscape. Traffic jams are frequent. Now this may all sound rather depressing (which it is) and a good reason to cross a visit to Stonehenge off your list of ‘must see’ places. Fortunately, despite everything, the grandeur of the stones remain and it is an awe-inspiring place to be, especially if you are able to arrive early in the day or when the stones are shrouded in mist. to its original landscape: the visitor centre, car parks and main road leading to them are being swept away and landscaped back to open grassland, giving the stones a greater sense of isolation. A new centre with educational and other facilities are being built further away and a low impact shuttle service will transport those visitors that don’t wish to – or are unable to – walk. This may be a few years away from completion but work has started. In the not-so-distant future, Stonehenge will have the facilites and landscape that such an important site deserves. Stonehenge is part of a vast conservation area with over three hundred burial mounds and also includes the Avebury stone circle (link here). It is about 85 miles south-west of London. 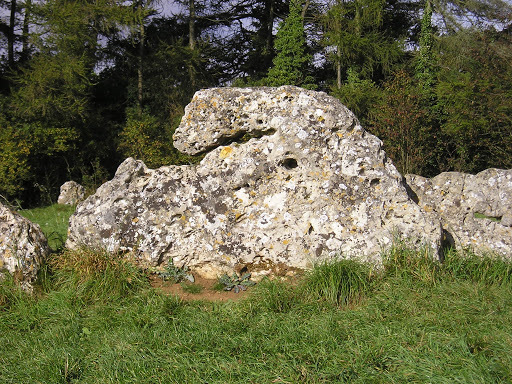 Although not as huge or as frequently visited we have many ancient stone monuments in the Cotswolds too. The Rollright Stones, a stone circle, photos below, are also 5000 years old, their shapes distorted and lichen covered with age. To read my earlier post about them, click here. Last summer I spent a day walking on Dartmoor, an area of wild, remote and barren land situated in the south of the county of Devon. Dartmoor is an area of granite outcrops (tors) and coarse grassland, trees are few – except for occasional conifer plantations – and people and properties even fewer. 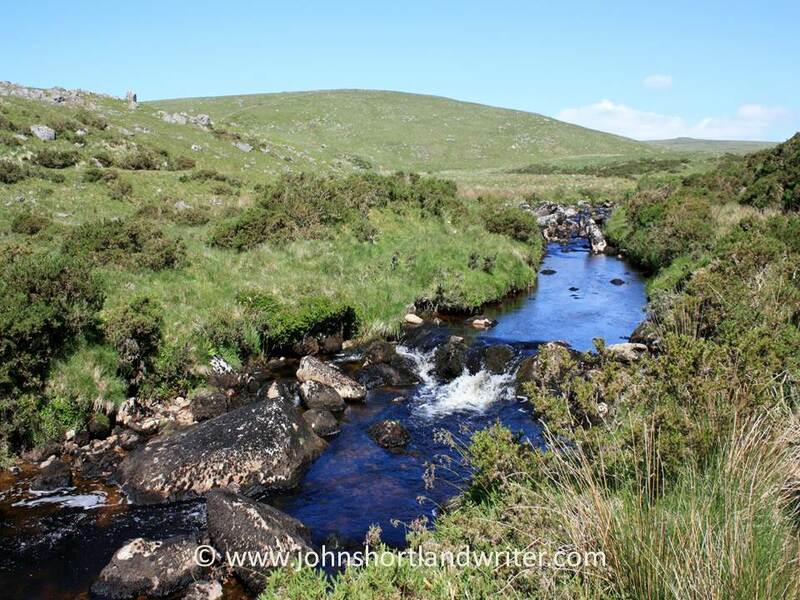 It is a country of streams, bog, cotton grass and silence. Remote and empty it may be now but, thousands of years ago, this was a highly populated area and all over the moor there are signs of occupation of our ancestors. The buildings have long disappeared but stone circles, standing stones , scrapes and bumps in the ground are everywhere as the Ordnance Survey map will show. The most mysterious and atmospheric sign of these early settlers is the stone circle found to the northeast of Sittaford Tor. Stepping into a stone circle is always a mystical experience: it feels as if our living history has been trapped within them. The spaces between the stones seem to disappear and you feel completely enclosed by them as if the circle ‘walls’ were completely solid. It feels this way with our own Cotswold stone circle, the Rollright Stones but it feels even more extraordinary up on the wilderness of Dartmoor for there is not one stone circle but two, standing side by side. Grey Wethers, as the circles are known, get their name from the old English word for a castrated ram. ‘Wether’ is still a term used in farming and the word is remarkably similar in the old German, Frisian and Nordic languages. It is not uncommonly used to describe large stones that scatter some areas of landscape, whether manmade or left in place as a result of Ice Age glaciation – presumably as, from a distance, they can look remarkably like sheep resting. Walking amongst the stones, it is difficult to see that the circles are completely separate for they feel as if they are intertwined as in a figure of eight. However, from above (thanks to Google Earth) the circles can be seen to be quite distinct although sitting side by side. The smaller of the circles measures 31 metres in diameter and the other 33 metres, making them the largest circles on the moor. Together, they have 49 stones standing. Much of this information I have sourced from the web (where else?) and more can be found here. What was the purpose of their building, 5000 years ago? Many theories exist but no-one knows for sure. Excavations have shown that there were charcoal deposits here so fire was certainly used – was it for ritualistic purposes? The theory I like most, is that the circles stand on the boundary of two separate tribes and that this was a neutral meeting place. It would be good to find that it was a place of peace for it certainly feels that way now. 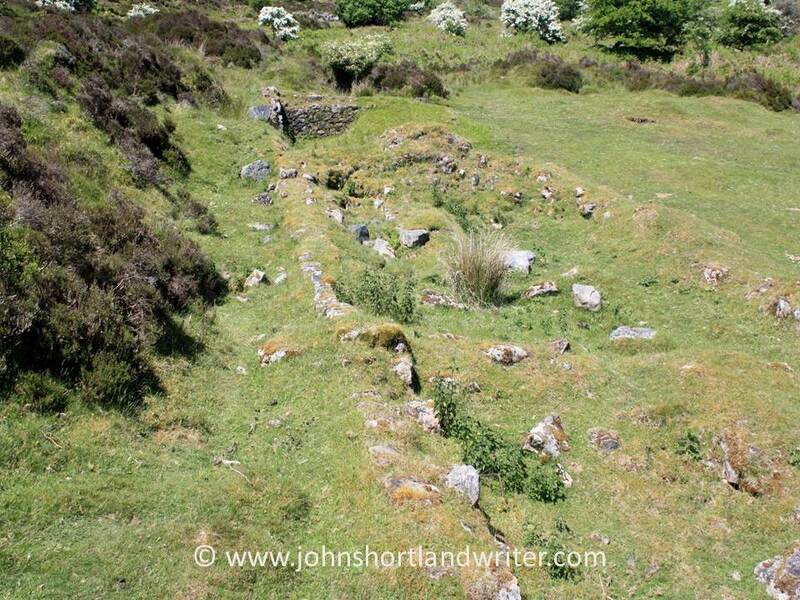 To the south of the circles and on the northern bank of the East Dart River are the circular remains of a ‘beehive’ hut. These tiny buildings of stone with, once, a turf roof were most likely built in medieval times and used as a store or shelter from the worst of the elements. It is surprisingly well camouflaged – perhaps designed that way to prevent their contents being raided by others. 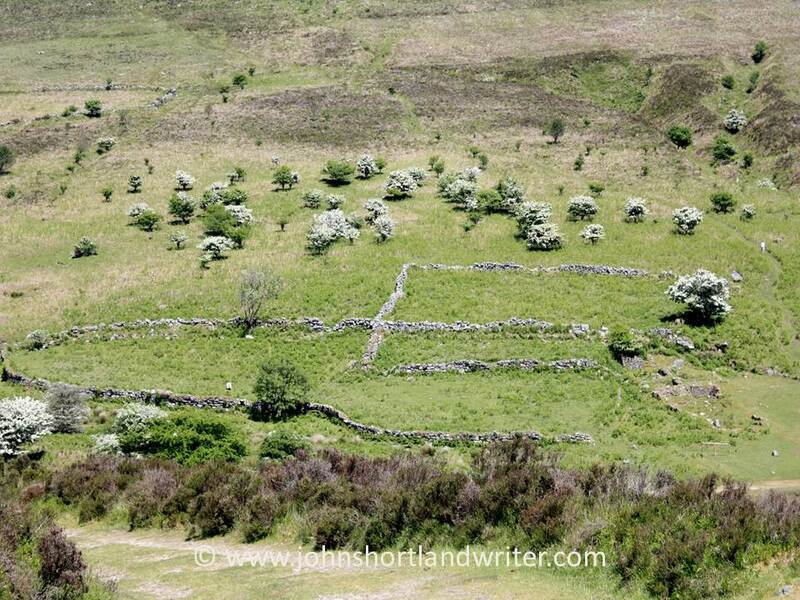 More information on the ancient huts of Dartmoor can be found here. 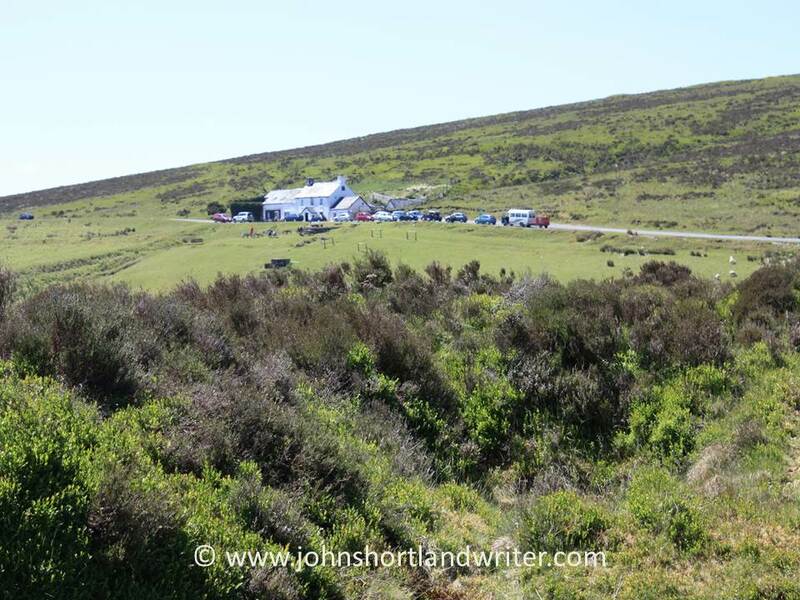 After a picnic lunch high on the moor with only the sound of skylarks, cuckoos and buzzards for company, the path descended to the Warren House Inn, a remote (in the past, tin miners) hostelry, some distance to the east. It is said that the fire here has never been allowed to go out since 1845 and it and a pint or two of ale were most welcome. Beyond the pub, more remains of old buildings and walled enclosures could be seen, probably of deserted farms or small mining communities. Now, at lower levels, the climate was noticeably more clement and wild flowers provided some welcome colour after the drab greens and browns of the higher moor. 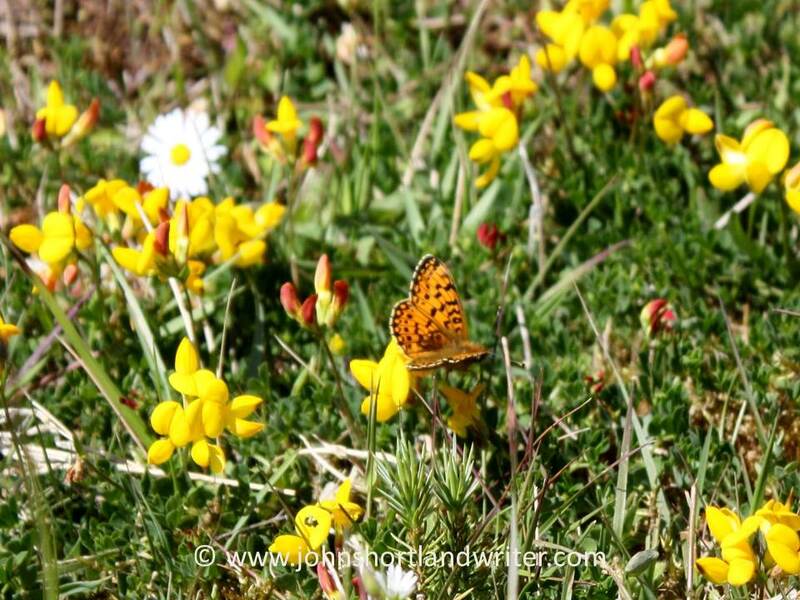 The Bird’s Foot Trefoil, especially, were covered in beautiful Fritillary butterflies. Finally, after several hours of walking we returned to our starting point, the village of Postbridge, to cross the river by the ancient stone clapper bridge, featured in one of my earlier posts. This, and more photographs, can be found by clicking the link here. 2I have found that there are no shades of grey when appreciation – or lack of it – of Richard Long’s art is discussed. It seems that either, like me, you are swept away by it or you just cannot see the point of it at all. Whilst respecting this latter point of view, I ask myself, “Does art have to have a point”? For me, of all art forms , Richard Long’s work demonstrates that beauty can be appreciated just for it’s own sake. British born (in Bristol, where he still lives and works), Richard Long studied art in both Bristol and London, giving his first solo exhibition in Germany in 1968, as he completed his studies. I imagine this is quite an achievement in itself. Since then he has exhibited regularly throughout the world. In the grounds of my ‘reincarnation’ house, I was fortunate to be involved in the placing of one of his slate circles (photo above). Sadly, I never met the great man himself, for I would have loved to have sat quietly and watched the stones being laid in place. My contribution was extremely modest: I only removed the turf and put down the base ready for the circle to be put in position. However, this did mean that the circle appeared as if by magic – and it has remained mysterious and magical ever since. And, as if by magic, the gaps between the stones have filled with leaves and debris and yellow lichens have started to colonise their surface. Regular readers of this blog will know of my fascination for stone in all its forms, whether it is the earliest standing stones (and we have our own ancient stone circle here in the Cotswolds, the Rollright Stones), the dry stone walls of the secret valley or placing stone in the garden. But Richard Long’s stone work is different to all of these for each piece is meticulously shaped and honed – or left in its natural state – and crafted into position. To really appreciate it, you have to become part of the landscape yourself. When you lie on the ground looking across the surface of his work, it takes on a completely new appearance and meaning. When I first came to know and love Richard Long’s work, I little dreamt that one day it would inspire me to incorporate land art into one of my own designs. Attached to a beautiful old farmhouse, belonging to a client, is a small, almost bottle shaped, raised area of land surrounded by the remains of a twelfth century moat and mill stream. 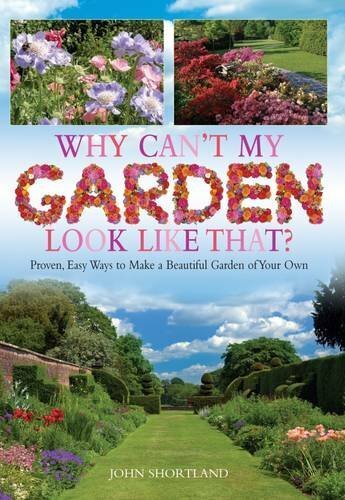 It is too wild an area in which to create a conventional garden so the plan is to keep it as a simple wild flower area. A very low serpentine turf coverd bank will draw the eye – and, hopefully, the visitor – towards the bottle neck. Careful planting will bring you unwittingly into a living willow tunnel and, at the far end where the land broadens once again, will be a circle. Not a stone circle this time but a meditation circle inspired by the photograph below of children playing. This photograph is from the artist’s (or is it sculptor’s?) website; all the remaining photo’s are mine taken at the reincarnation house. To be redirected there just click and make sure you look at both the Exhibitions and the Sculptures pages. As for my new design, work is due to commence at the end of this month and I shall report on progress some time in the future. One thing I am quite certain of is that I will not be asked to hold any exhibitions either in the UK or abroad! "A Massive Piece of Granite"
It is a family joke that whenever a large piece of stone is seen, one person asks “What is it?” and the other answers – slowly and after much deliberation and head scratching – “well, it’s a massive piece of granite”. For, many years ago, this was the only answer we got from an old countryman at an ancient stone burial chamber that towered above us. Burial chambers, stone circles and other standing stones, which mostly date back 5000 years or so are reasonably common around Britain,and a surprising number of them are quite impressive. 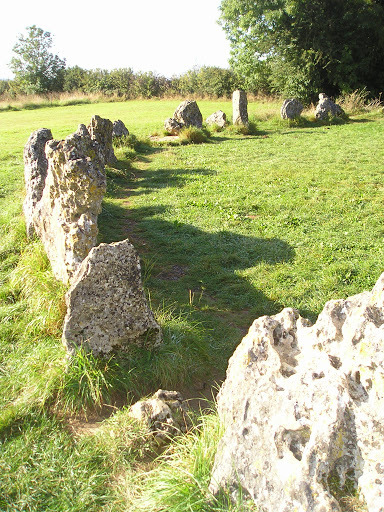 There are several scattered around the Cotswolds and I have written about our little known and little visited Old Soldier and also the very well known and very much visited stone circle, the Rollright Stones. 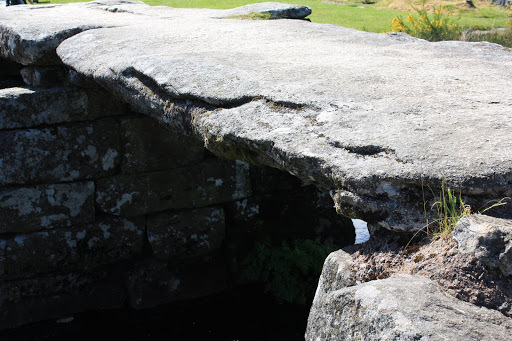 Far more scarce and, perhaps even more impressive, are the stone ‘clapper’ bridges. These are often not as old as they look although, even these, were probably built the best part of a 1000 years ago. I find these bridges, which are mostly in the West Country on Dartmoor and Exmoor, just as impressive as Stonehenge, England’s world famous ancient stone monument. 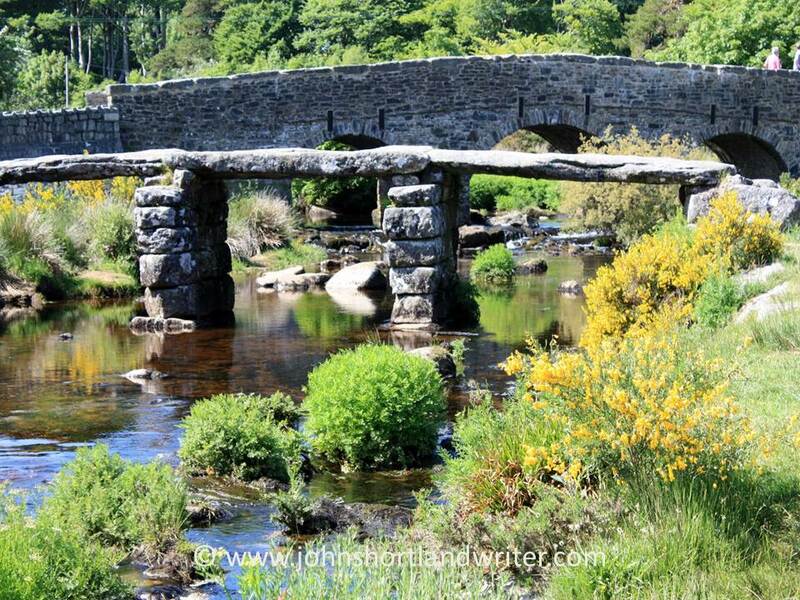 The clapper bridge in the photoographs below is at Postbridge, on Dartmoor, in the county of Devon. This clapper bridge was built to aid the transport of tin from moorland mines about 1200AD. The ‘new’ bridge in the background, which carries the road and car traffic over the East Dart river is a mere upstart, having been built about 1780. In the photo below, I love the way the arch of the new bridge is framed by the ‘arch’ of the old one. The granite slabs measure over 4 metres (13ft) long and are over 2 metres (6ft 6in) wide and weigh over 8 tons each. Despite this, over the centuries they have been swept away downstream by floods. Some have been rebuilt many times, others lost forever. However did they, without modern technology, transport them? The bridge just invites you to step onto it and it can be the starting point of many walks that lead across the open moorland. It was for me, a couple of months ago. On that walk, I found deserted settlements and the most incredible stone circle – unusual in that there were two circles side by side. I shall write more of this soon. Even now, when a special occasion needs to be commemorated it is to stone that we often turn to. To my knowledge, no modern material is in common use to mark the burial place of a loved one: we mark our graves in a very similar way as our most distant ancestors, with stone slabs. We also use stone to mark more joyous occasions. 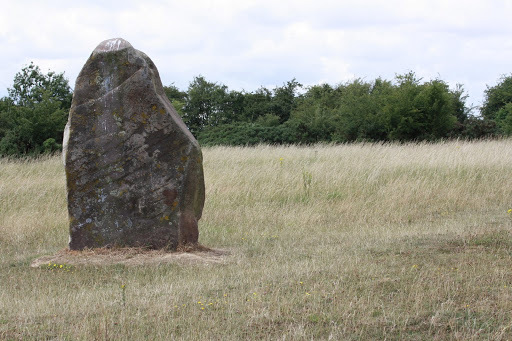 This standing stone was placed on Ibstone Common, high in the Chiltern Hills, to commemorate the millenium. A small thread that unites us through 5000 years of history and far into the future – a comforting thought.